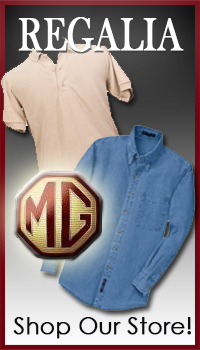 The MG Owners Club, formed in 1957, is the Northern California Centre of the MG Car Club, formed in England in 1930. The Peninsula T Register was formed in 1973 and is now an informal sub-group of the MGOC. We receive a copy of the MGCC's Safety Fast, available to members on loan from the Corresponding Secretary. 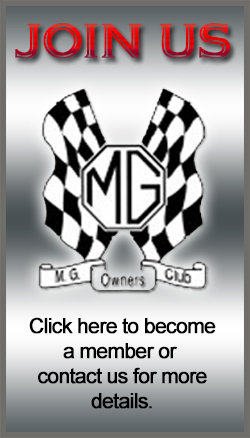 The club is also associated with the North American MGB Register, the North American MGA Register, and the New England MG T Register. The MGOC holds a business meeting each month at an event known as the Natter and Noggin in the style of English clubs. 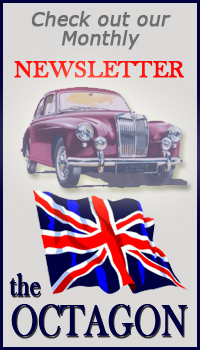 The Octagon, our club newsletter, is published monthly by the MG Owners Club. Opinions expressed in The Octagon are not necessarily those of the MGOC, its members, or Board of Directors.